This rice pudding recipe comes together in about 35 minutes and will impress your family in ways that the pre packaged variety of this classic dessert could only dream of! If you like rice or pudding, you are going to love this recipe for homemade rice pudding! It comes together easily and creates a deliciously economical dessert that your family will love! 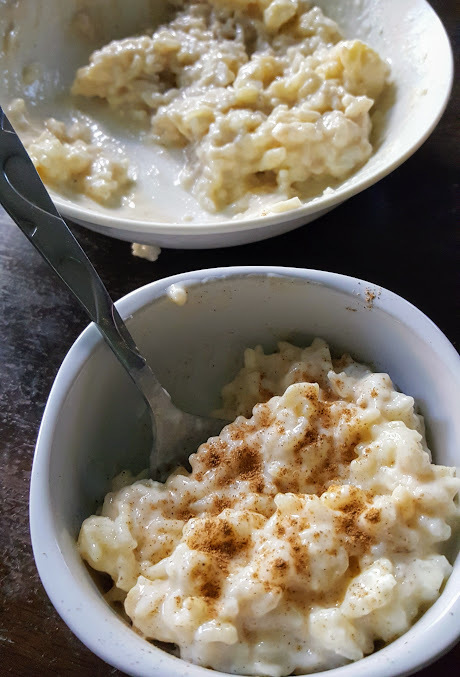 I usually purchase Rice Pudding in a container and feel content with it, but a few days ago, I was inspired to try my hand at making it myself. The process was simple and the results were marvelous! I used long grain rice. If you have another variety, feel free to use it and adjust the cook time. You can use raisins or craisins in this recipe if you like. 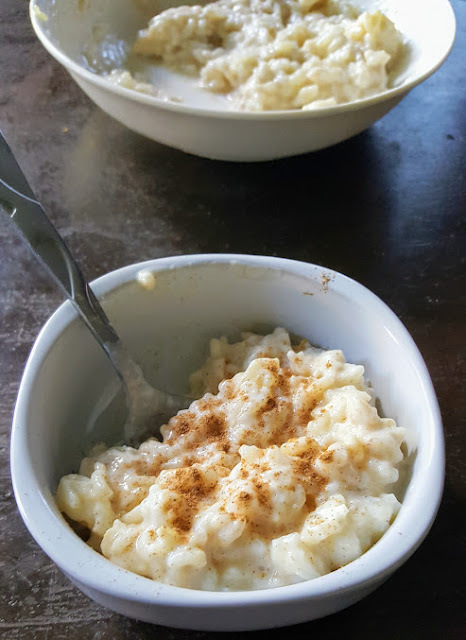 I like to top my rice pudding with cinnamon, brown sugar makes a sweet addition too! This dessert serves deliciously both warm and cold! If you like it cold, store in a sealed container for up to 3 days, if it lasts that long! Bring 1 3/4 cups water to a boil in a saucepan; stir rice into boiling water. Reduce heat to low, cover, and simmer for 20 minutes. In a clean saucepan, combine cooked rice, 1 1/2 cups milk, sugar and salt. Cook over medium heat until thick and creamy, 15 to 18 minutes. Stir in remaining 1/2 cup milk and beaten egg; cook 2 minutes more, stirring constantly. Top with cinnamon or raisins if desired. Serve warm or cold, per preference. Haven't had any rice pudding in years. 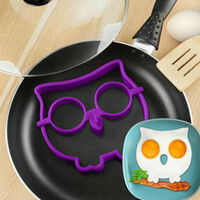 Want to make it now.